That's right. Buckle up, people. We're about to offend someone. I'm planning on changing the transmission oil in my 2009 C2S and the internet has taught me that Mobilube PTX 75W-90 is the only option. I have not yet found a Canadian supplier for said unicorn urine. Yay free trade. What is the closest alternative? 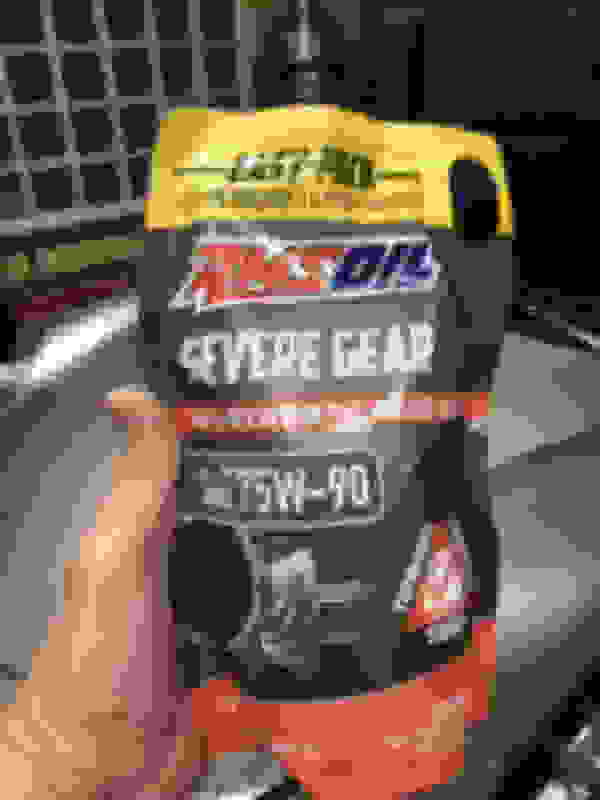 One local shop has recommended (and carries) Motul Gear 300. From the trans fluid chart, the Liqui Moly seems reasonably close to PTX including whats listed as actual value at 0 degree. It's half the cost. I will probably try PTX within a year to see if it smooths shifting in the cold Ohio weather. Somebody must have tried Liqui Moly and not had trans blow up, any thoughts from those users? I don't mind paying for the most expensive option, but I don't mind saving 50% either. First off I would say lay off Bruce or anyone for that matter. That is not needed and goes against the Spirit of this forum. Working together and trying to help others out. Anyway as you do a search you will see many people have used other fluids with poor results especially in colder climates. More people have had good results with PTX than any other fluid, but you can try whatever you want. I prefer to follow the specs in my car’s manual. Is PTX expensive? Absolutely, but if I put in another fluid that does not work as hoped and I need to change it out for an alternate fluid or possibly PTX it really is not a cheap option. Plus if you factor in your time to do this on your car twice the cheaper stuff then looks expensive. I am interested if any of the options you noted above will have people chime in saying they had good results. PTX is what everyone is going to recommend with liqui moly probably second. I have a 2011 C2 with limited slip and believe in early fluid changes after break in. At 10,000 mi changed out with Castrol syntrax 75w-90 because it is what the local auto store had. Have 48,000 mi now and it has always been smooth as butter. Sorry for offending you with my joke. Again, I’m not against PTX; it is not available. Castrol syntrax has cropped up in a few searches now. That might be the leading contender. You may as well put nitroglycerine in it, because if you put anything in it other than the unobtainium specified in the manual, it will violently explode. It will probably kill some puppies when it happens, too. This is what I run and my transmission shifts jes’ fine. Available in Canada too. New Easy-Pack package makes for simple service. Squeeze four of these babies in and you’re done. Not offended at all. I am interested to hear if there is another fluid that works as good or better than PTX. I put in 3 quarts of PTX shortly after buying my car. I have only had my car car since February and never had any issues until the recent cold snap here in Texas. A couple of times recently when the car is cold and it is cold outside it has been more difficult getting into first. For those of you that have used something different and it has worked please note where you live. I think all oils will be stiff when cold. The transmission also uses a different material for the 1st and 2nd gear synchros. When it's cold and stiff, shift it slowly but forcefully and you should be fine. Once the oil warms up it will shift smoothly again. Describe the frequency/conditions when you get the 1st gear jam and the kind of balkiness you get going into 2nd gear. I always wondered when someone else would enter this oil market. Back just six months ago, I could not find a GL 4.5 oil..... nothing was on the market at all. Shell Spirax may have been the 4.5 oil before Mobil PTX, but again, only PTX was the available 4.5. I have no horse in this race .... I just wanted to fix my problem without pulling my transmission .... very expensive. I read my manual and it spec'd that particular brand and model of oil...... so I put it in and the problems stopped. I have no more real knowledge other than this. So let us know what your problems are and how this new oil addresses them. Around 1/10 traffic light 1st-gear shifts don't work... they require a double-clutch-with-revs and brief trip into 2nd. So, not super bad. But it's the original oil (2009) with 40,000 miles. Wouldn't hurt to change (and also intend to do the same on my winter beater, so a maintenance theme). 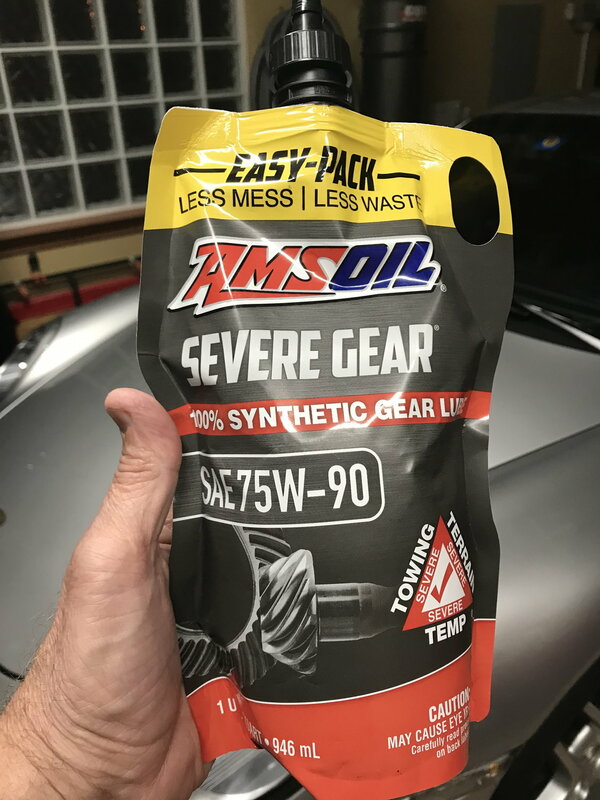 I will look into AMSoil Severe Gear 75W-90 vs Castrol Syntrax 75W-90. The omniscient internet says PTX. The feedback on Motul 300 is that it still isn't as good. What about the OEM Porsche fluid?